This bayonet is the correct one for any German G33/40 Mauser. The bayonet superficially looks similar to the one for the K98 however the blade edge is reversed and the ring has been machined off. These bayonets were manufactured by Brno between 1940 and 1942. This one is marked dot on the bayonet and dot42 on the sheath. This is my DOU marked Mauser Kar-98 Infantry Rifle in 7.92x57mm caliber. 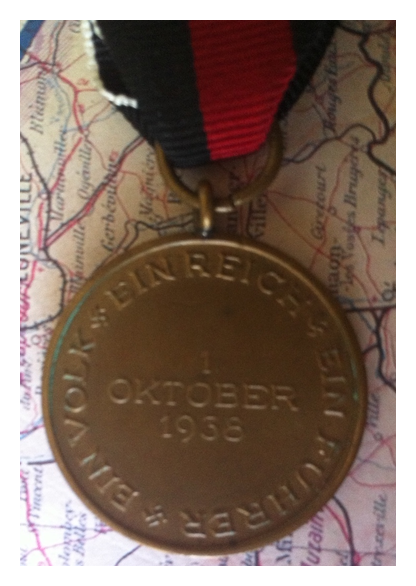 It was manufactured in 1943 by the Waffenwerke Brunn., A.G. in Czechoslovakia. It’s all matching including the wood so I am pretty happy to have it. 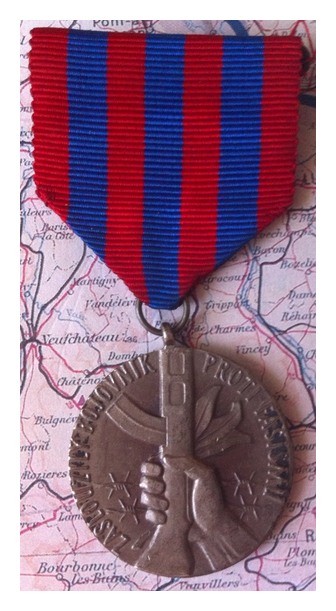 This is the first of the so-called Flower Wars medals, so named because of the fact that Germany obtained the territory without the need for a declaration of war. 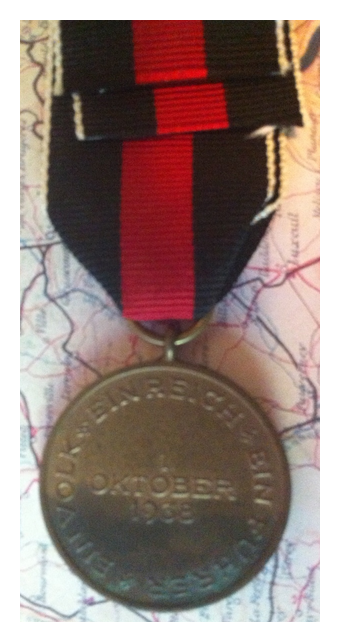 This one celebrates the takeover of the Sudetenland border regions from Czechoslovakia. I have a couple of these. 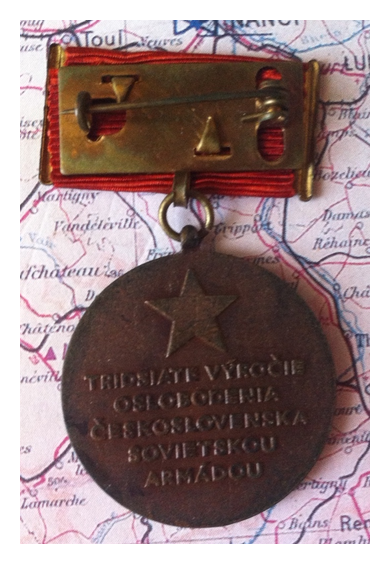 This is a medal issued in 1981 by the Czechoslovakian Anti-Facist Committee to all surviving ex-members of teh Communist resistance to the Nazis. 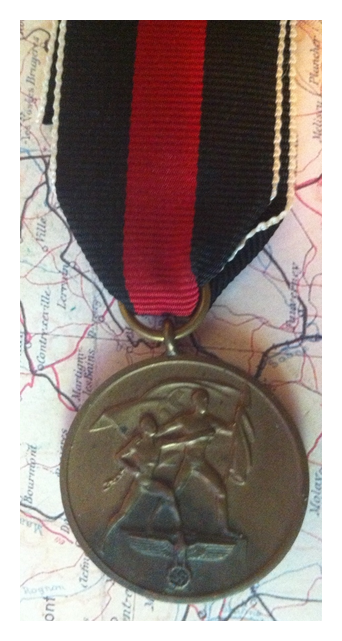 It’s a state supported organisation but the medal should be considered an unofficial issue. Duh. 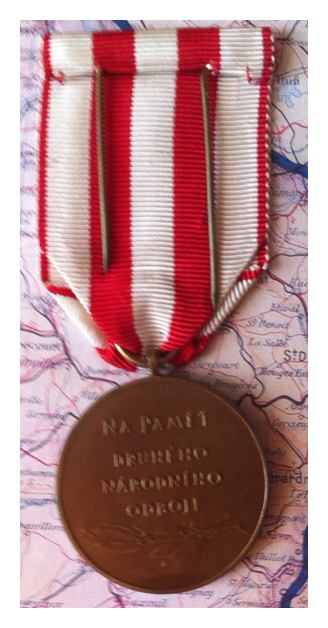 A Czechoslovakian Communist era medal celebrating 40 years since the fall of the Nazis. 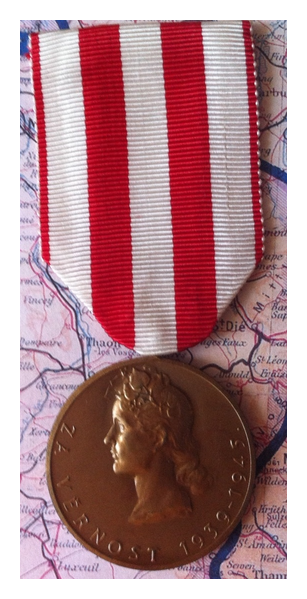 This Czech medal was created in 1946. 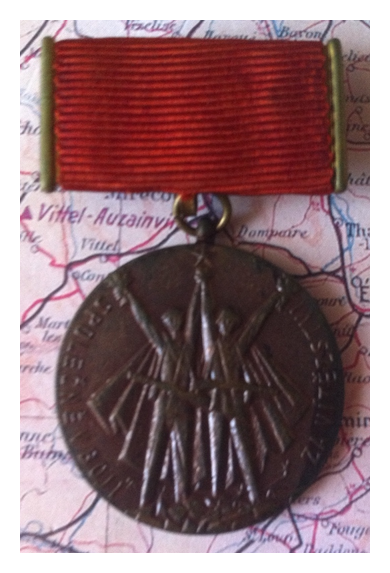 The rear of the medal says “in remembrance of the 2nd national revolt”. 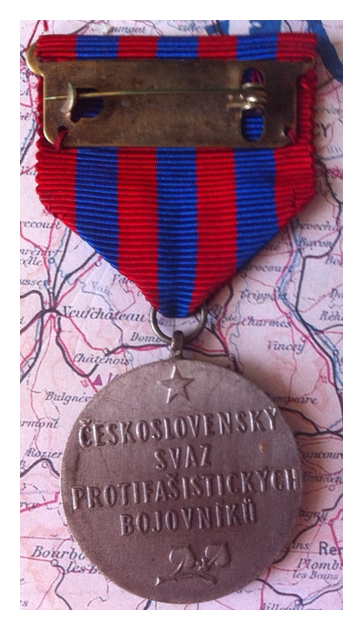 This medal was issued to everyone who helped resist the German occupiers of Czechoslovakia. 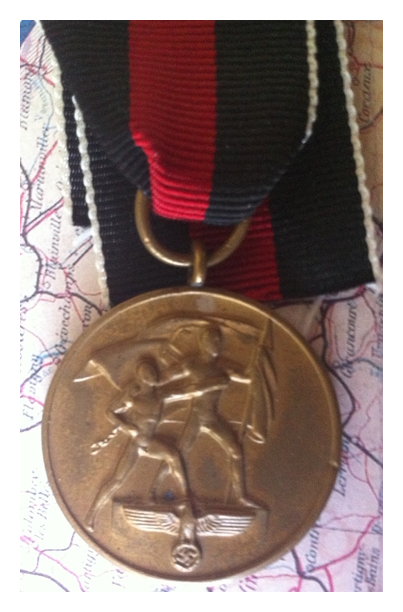 This is one of the endless lineup of ex-Eastern Bloc medals that celebrate an anniversary of either the fall of the Fascists or the Liberation from aforementioned Fascists. In this case it is the 30th anniversary of, I presume, the liberation of Czechoslovakia.